Dear wife......CARE ABOUT YOUR APPEARANCE THE WAY YOU CARED AT FIRST. LOOK GOOD for your husband. Take some pride in your appearance. You may firmly believe that your husband should not care about the way you look. You are entitled to firmly believe that. But... sweet girl... he does. You may want to write me comments about how absolutely sexist it is for me to tell you to try to look good when your husband is around.. Go ahead and write them.. but I guarantee you... in his heart... your husband CARES about your appearance MORE THAN HE MIGHT BE BRAVE ENOUGH TO TELL YOU. At the beginning of your relationship....you cared about your appearance... You know you did. Care about it again. NOTE: I am not saying LOOK THE WAY YOU LOOKED AT FIRST. No woman can look the way she looked at first. But she can CARE the way she cared at first. I don't know why GOD created men the way He created them. But I am wise enough to not argue with The Creator. Men are not complicated beings. Some of you will write me with questions like, "Why doesn't HE care about the way HE looks around me?" And my answer is..."I don't know why. The only question YOU can answer is why YOU don't care about the way YOU look around him." Good for you. Did I say "Look like a supermodel'? I simply said, "CARE ABOUT your appearance again." It means what it seems to mean. Care about how you look. It matters. To your husband. But wait.... Is your appearance ALL that should matter? Should he care about your heart? Yup. Should he care about your giftedness? Yup. Should he care about the kind of mother you are to his children? Yup. Should he care about how deeply you love God? Yup. Should he care that you care about others? Yup. Should he care that you put up with his mother? Yup. Should he care that you sacrifice material things so as to not burden him? Yup. Should he care that you keep the house clean and in order? Yup. Should he care that you are caring and intelligent? Yup. Should he care that you encourage him to follow his dreams? Yup. Should he care that you are interesting enough to continue to follow your dreams? Yup. Should he care that are fun and happy? Yup. Should he care that you work outside the home when you'd rather be home? Yup. There are NINE HUNDRED MILLION THINGS your husband should cherish about you MORE THAN than your appearance. But.. that doesn't mean he should have to lie and say it doesn't matter to him AT ALL. It does. Trust me, honey. It does. He should not care about the way you look MORE THAN your heart for God. OR... MORE THAN your heart for your children. Or... MORE THAN other very important stuff. don't be foolish enough to think it doesn't matter to him AT ALL. No woman EVER ruined her marriage by taking time to LOOK her best. I find far too many wives who spend more time caring about how they look in church, or at work.. than they do at home. You don't have to cook in a bikini, or watch T.V. in a prom dress... but .......who said you should? Not Mrs. Older. It's true that....some days... you don't have the energy to care about how you look.. and just need home to be the place you can crash and just unwind. But on the days you do have some energy..... then care on those days. Is that all that a woman should do to help her marriage? NOPE. Does looking your best outwardly mean you can ignore being beautiful on the inside? Does caring about your appearance guarantee your marriage will not fail? Your husband, however, can only see the outside. Care about the outside also. Add your comments... click below. After twenty five years of marriage, and three children, my wife follows this advice. To me she is as beautiful as the day we met. In my role as a pastor and counselor I would say that women often underestimate the power of their appearance. I agree with you, and know that you are a brave woman to have posted this. I await the additional, less friendly comments that will appear. Blessings to you dear woman of God. Thanks Mark. Love to your wife. OMG I was making fun of this post as my husband and I were driving to the dentist. And after reading it, expecting him to laugh at you along with me he said 'she isn't entirely wrong'. Which has started a long discussion about how men (not him of course) are visual more than women. This in turn has gotten me thinking that it is possible he is telling me to care about my appearance more than I have been doing. OMG. OMG. OMG. OMG. YOU were LAUGHING at Mrs. Older????? Dear girl... Thanks for your sweet and candid post. LOVE you. Mrs. Older, A few months ago I sent you an email asking if you would be willing to come and speak at our church in Colorado Springs. I did not hear back from you. I don't want to list my email address here. But I will be sending you another email today. We have no idea who you are, but our women's group already adores you. Stamrich is my maiden name. My email will come with my married name. Sorry for any confusion. I do vaguely remember getting an invitation from a women's group in Colorado...last year??? and if I remember correctly... I was booked to speak at another women's retreat that weekend. I AM HOPING you received my reply. As of this minute, I have NOT received another email from you. What a GREAT and WONDERFUL response. THANK you for posting. BTW.... I also love the smell of vanilla. Oh, I love this!! I've read many posts on how wives should stay attractive for their husbands and I have heard no end of complaining and griping about how our husbands shouldn't care. And about how our bodies change after babies, etc...I find all that frustrating because you're absolutely right - we should CARE the way we used to, not necessarily LOOK the way we used to. LOOKING the way we used to is just downright impossible sometimes; I'll never erase the scar from c-sections or the sagging skin and stretch marks from 3 pregnancies, but I can still take the same amount of care over my appearance to try to delight my husband. (Who, for the record, says he doesn't even notice all those stretch marks, thinks I'm beautiful and loves that I make an effort to not be frumpy) And for all those people who say they have no time because they have kids...no, you have time. If you have time for Facebook, you have time to change out of sweatpants or put makeup on. If something is important to you, you will make time. Dear Elizabeth, Thank you for these wonderful comments.. And for the additional advice that if we have time for other things we have time to look good. Love YOUR stuff... love reading it. P.S. Where are your social media share buttons? Is my computer messed up and hiding them? P.S. I am, evidently, in need of a media guru. I followed your instructions..... I don't know HOW to.. WHAT to.. WHEN to do the social media share buttons.. I am ashamed to let you know that I TRIED to follow the instructions in the email you sent.. but alas.. Mrs. Older is media challenged. I will try again. You should just be able to have them showing at the bottom of each post...from your Blogger dashboard, go to "Layout". Look at the arrangement and find where it says "Blog Posts", then click on the little blue "edit" in the bottom right corner of that box. Once you're in there, make sure "Show share buttons" is checked. And then make sure you hit "save" at the bottom before you close it. I believe I did it. ok I agree but you failed to mention anything about how he should treat you the way he did when you first met and make an effort and help around the house like he use to or make time just for the 2 of you like he did in the beginning. Date nights are still important after 20 years. Knowing that your hubby wants to spend time with just you like he did in the beginning is important. I'm so sick of do for the man do for the man...it is a 2 way street people! you both have to do for each other no matter how long you've been together! Bless you for this post. It's far to easy for all of us to fall into a rut. We should care about how we look. Bless YOU for leaving a comment. The most wonderful thing for someone who writes is to know that someone is reading. LOVE to you. Very good advice. We may not want this to be true, but I think it is true. The idea of keeping the focus on caring as much rather than looking the same is brilliant. Thank you Gaye for taking the time to comment.. and also.. to AGREE with me. Yes.. caring is the key. Thank you thank you thank you for commenting. I will have to look in to that...thanks for pointing that out.. I don't know exactly why I, as a husband, find this blog so interesting, as I'm not its intended audience, but it's great. Let me offer a bit of advice to the fellas who may be seeing this: YOUR appearance matters to your wife, too, even if they're not quite as "visual creature" as men are. This is good advice for the men too. I have quite a few husband who (shhhhhh) follow this blog. Thanks for your equally true comments to husbands. They are also true.. Please forgive me but for some reason I messed up when allowing this comment and your website link is not showing. If you read this.. post your link again... to your page. Thanks Jim. Keep reading and get your buddies reading too. I have to agree. I enjoy seeing her much more when her hair is fixed and she is wearing something nice. It honestly makes me want to spend more time with her. Am I shallow? Maybe. I love her either way, but enjoy her looking nicer more. Just like, there are some meals I like better than others. I also know that I should do my best to look good for her. I try to do it, whether she is in her gray sweats or the nice sweats I did buy her. Always love husband comments. Thanks so much for being a husband who reads.. and for letting us see the OTHER SIDE. Thank you for being brave enough to post this! It is far to easy for us as wives/moms to take our husbands for granted in this way. I see it as a way of respecting my man and showing some self-respect, too. We don't need to vacuum in a starched dress, heels, and pearls, but showering, wearing something other than sweats, and not looking sloppy are reasonable expectations. When I make the effort to look put together for him (and my kids; they don't want to be embarrassed by my appearance, either! ), I feel better about myself. THIS IS THE BEST ADVICE I have read on this subject! I have read so many posts that take the tone, if you don't wear makeup or take time to do your hair then you're a bad woman. I've read so many blog posts because I physically can't wear makeup,I've been dealing with facial cysts that make my chin swell up to the size of a softball, my hair went through some trauma and started falling out, and I had 3 babies in 3 years! I can't look the way I used to look, but I do care. Thank you! This is what so many posts I read are lacking. They make me feel inadequate simply because I'm stuck in my skin. I do care about my appearance even if it is worse than I'd like it to be. Okay this is great! And you're awesome! I don't want to come off as conceded or anything when I say I am a very attractive woman, I don't need to wear makeup to look amazing and after three kids I think my body is even better, but what good is that? It makes me lazy, sometimes cleaning the house and cooking and looking after the kids I don't even change out of my pjs heaven forbid brush my hair, my poor husband tells me I'm the most beautiful woman in the world regards if I even brush my teeth! So after reading this I changed Mu clothes, put some light make up on brushed my hair and put some nice perfume on so when My man comes home today to a clean house happy children and warm meal he will also come home to a woman who said " hey you're still worth getting dressed up for "
Thanks for commenting... These kinds of comments are the reason I write this blog. BTW... Stephage... how did you hear about this blog? My husband and I were just having a conversation about this. This helps me see what he was talking about. Thanks! My soon to be hubby and I were just talking about this. I googled "How to look good for my husband" and this blog popped up. I clicked on it and started reading. It has everything he was trying to explain to me. PLUS you included God!! We are Christians and it was so awesome to read a godly post. Kinda like God wanted me to read this. Thanks!! Thanks Mindy.. I appreciate the kind words and am honored that you like what you read. When is your wedding? Thanks for posting. 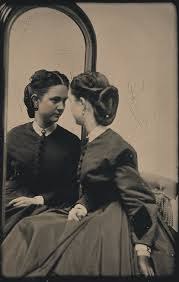 It is obvious you have not taken the time to read any other of my posts, but if you do - as in my most recent one, you will see that I OFTEN let husbands have their say, and I OFTEN speak to the neglect that many husbands feel free to hoist upon their marriages. Even though your assessment is not accurate, I appreciate your thoughts. I would say though, that there is NOTHING MORE SCRIPTURAL than an OLDER woman teaching YOUNGER ones. The Bible is SPECIFIC about this point..older women teaching younger ones to love their husbands, be busy at home, etc. Also.. I do not agree with your statement that a husband does not deserve a well kept woman unless he is a well kept man. No where in all the Gospels does Jesus teach or model a lifestyle that says "After someone else does what they are supposed to do, ONLY THEN should you do what you are supposed to do." While I agree with you that both spouses should PREFER one another... the name of the blog is 'A Word To The Wives". One person's good advice is another person's lecture. What would Jesus do? He would speak the truth.... warning us that there would come a day when people would not tolerate it or sound doctrine. Even when I get dressed up & look good...my husband is still checking out other women. I will never dress up for him again!